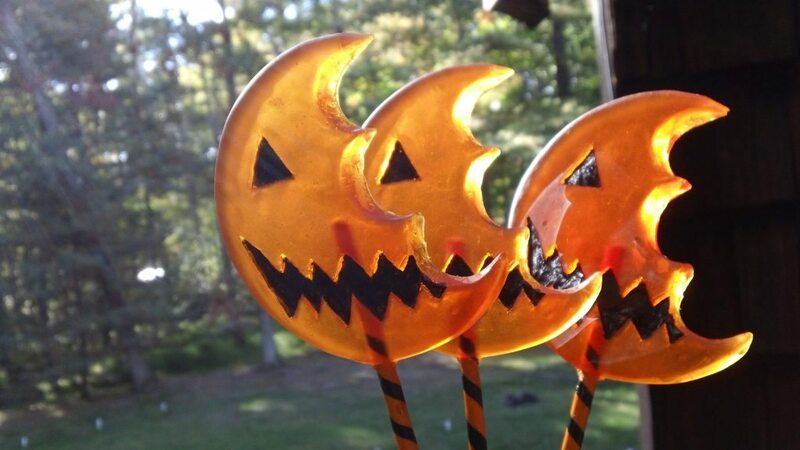 Halloween On Sale Info: Trick ‘r Treat Lollipops and More! Greetings, lunatics of the Candy Corn Apocalypse Army! It feels like an eternity, but the October Halloween Sale for my store, Candy Corn Apocalypse, is finally upon us. This article is to lay out the prices, quantities, pictures of the items, and precise sale time. That way you know exactly what to expect come October 1st. 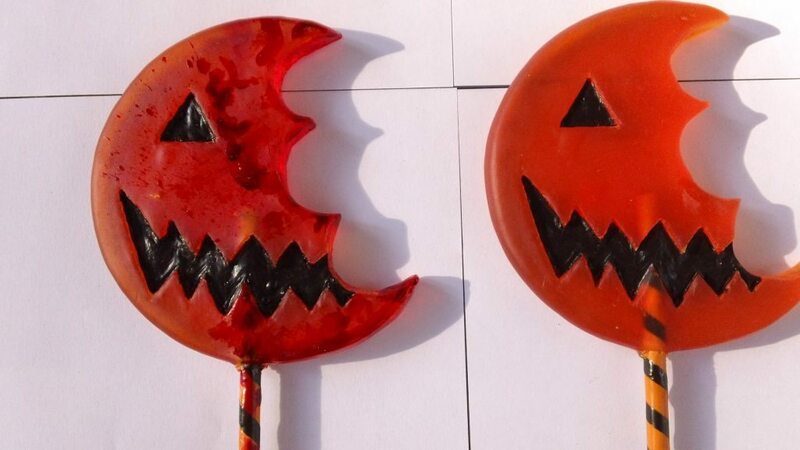 The Trick ‘r Treat Lollipops will be limited to TWO (2) per person: 1 bloody and 1 regular. I decided on this to be fair to everyone. I wish I could have made 100 of these, but they take quite a while to complete, and I simply did’t have the time. However, if you do miss out on these, I’ll make more in the future. Shipping costs: $3-$5 for initial items, $1 for every extra item. I do ship internationally, but prices are a bit higher, generally between $11-$15. 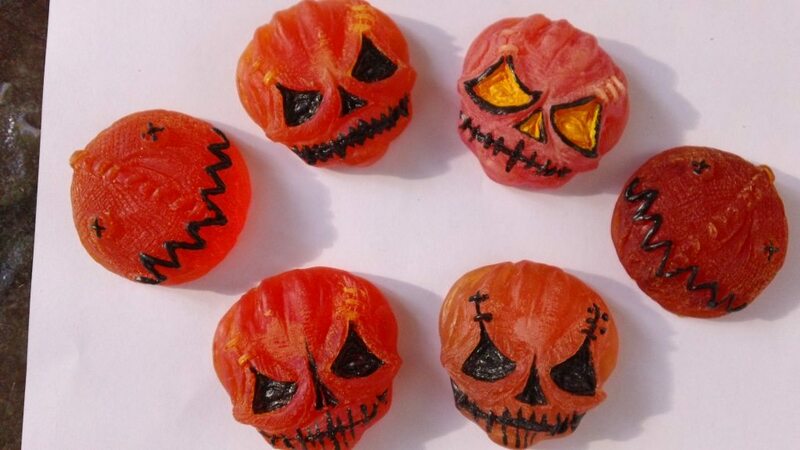 Every order will come with a mini free goodie bag, filled with some Halloween treats! 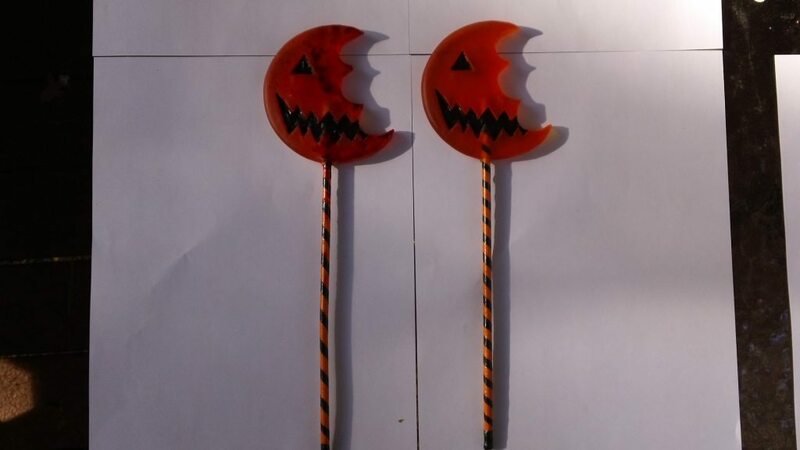 The star of the show are my Trick ‘r Treat prop Lollipops. These bad boys are completely hand-made. The sticks are wood that were hand-painted and varnished. 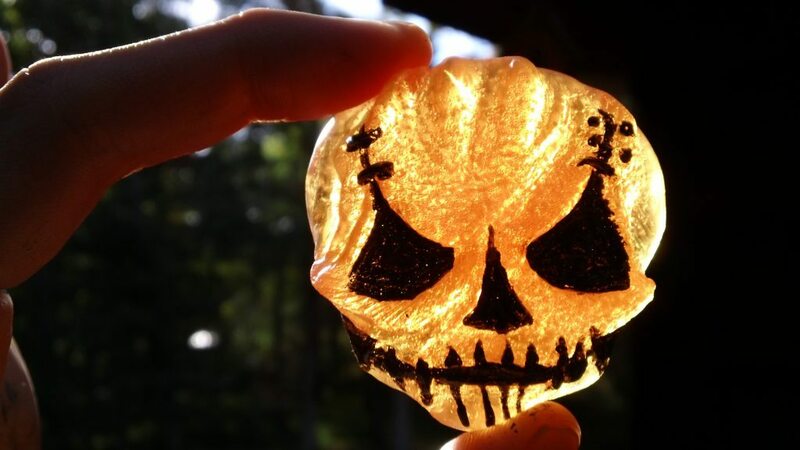 I sculpted the pop with clay, then made a mold and cast them using a clear resin which I colored. The eyes and mouths are hand-painted, as is the fake blood spatter. Price: $25 each, limited to one blood and one regular per customer. Variants: There will be 1 “weathered version,” and Blood. For all TrT pop variants (including blood) you will be able to choose them for order. Next are the second run of my Sam Head Magnets. These will only be sold as pairs for this sale. Variants: Blood, randomly inserted only (1 in 5). 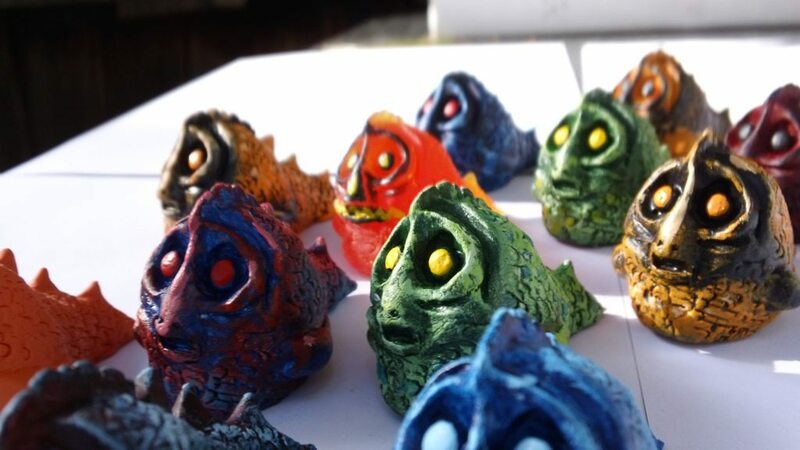 A new addition to the collection, and my first original concept design, is SLAG, the atomic fish creature. There are a variety of colors for this little guy. 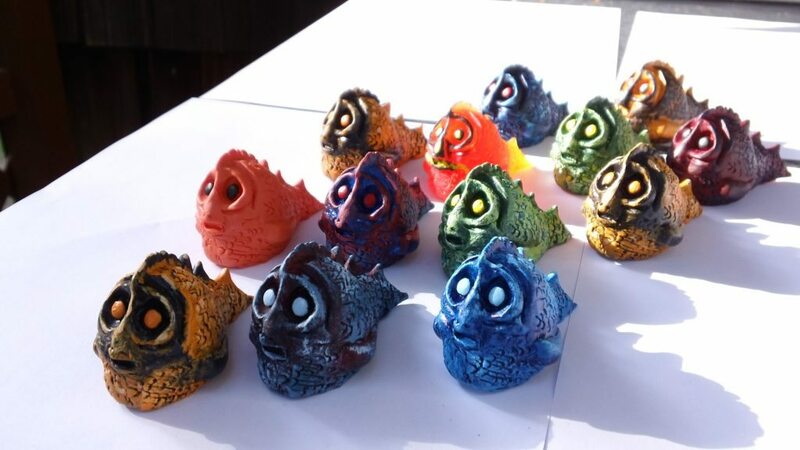 Variants: Different colors and casting materials, all available to choose for order. Sam Head “Lollipop Variant” Magnets are yet another version of the Sam Heads, this time using the same casting material as the TrT lollipops. 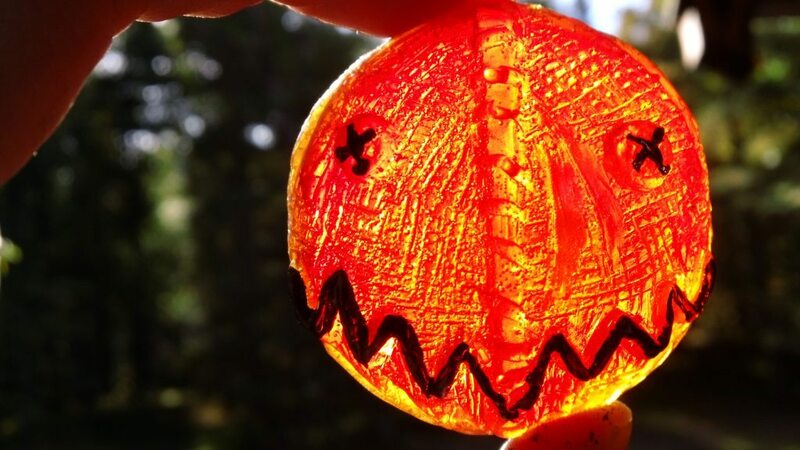 They are painted to resemble Jack-o-Lanterns, with a simple black paint job, letting the translucent orange resin shine through. Each one is painted slightly different, making them all unique. In partnership with The Moon is a Dead World, I have created one last secret ORIGINAL sculpt, which will be revealed on October 15th! I’m insanely excited to finally reveal what I’ve been working on, and I think you will be very happy with the result. I’ve personally had a few people request a design like this, and I do hope it doesn’t disappoint. Variants: Secondary paint job for the LE box set (see below). Along with the sale of this secret sculpt, Ryne Barber from The Moon is a Dead World is also putting together a VERY special Limited Edition Halloween Box, which will contain a VARIANT paint-job edition of my secret sculpt, plus MUCH MORE!